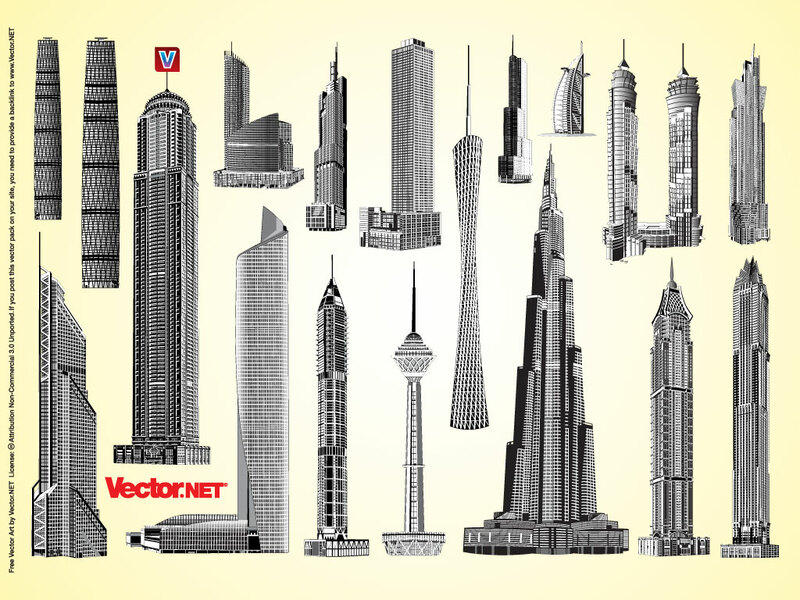 Download these detailed and technical vector drawings of buildings in Dubai, Taipei, Los Angeles, New York, Beijing, Shanghai, Singapore and Hong Kong. Cool high rise skyscrapers for your posters, wallpapers and personal illustrations. Tags: Architecture, Building, Detailed, Dubai, Emirates, Hotel, Skyscraper, Technical, Tower.